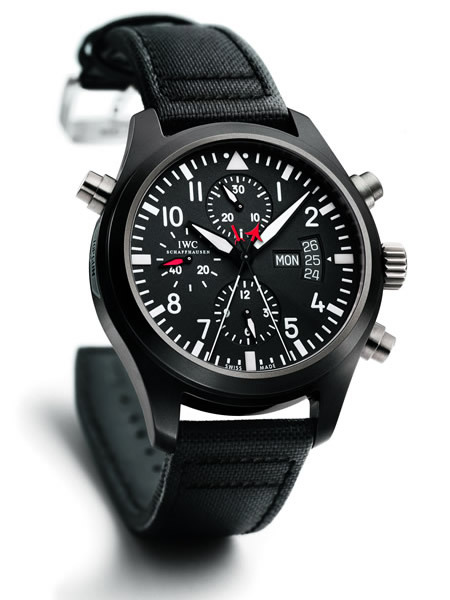 Photo: IWC Pilot’s Watch, Double Chronograph Edition. Photo: Negin Mirsalehi visits the IWC booth during the launch of its new Pilot’s Watches at the Salon International de la Haute Horlogerie (SIHH) on January 15, 2019, in Geneva, Switzerland. (Photo by Harold Cunningham/Getty Images for IWC). Photo: Adriana Lima visits the IWC booth during the launch of its new Pilot’s Watches at the Salon International de la Haute Horlogerie (SIHH) on January 15, 2019, in Geneva, Switzerland. (Photo by Eamonn M. McCormack/Getty Images for IWC). 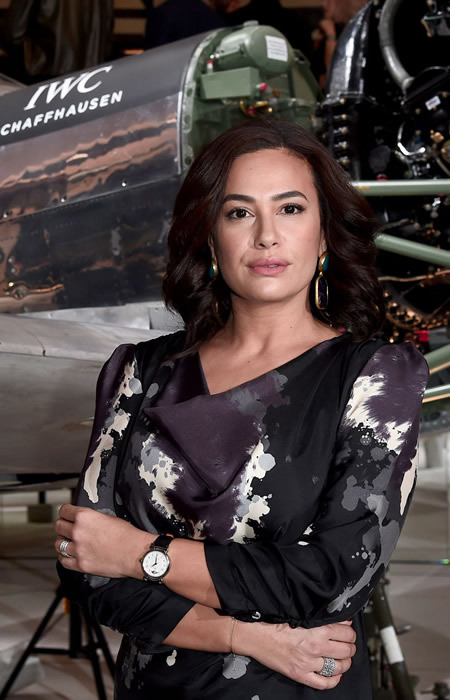 Photo: Hend Sabry visits the IWC booth during the launch of its new Pilot’s Watches at the Salon International de la Haute Horlogerie (SIHH) on January 15, 2019, in Geneva, Switzerland. (Photo by Eamonn M. McCormack/Getty Images for IWC). Photo: Sonam Kapoor attends the IWC Schaffhausen Gala celebrating the launch of the new Pilot’s Watches at the Salon International de la Haute Horlogerie (SIHH) on January 15, 2019, in Geneva, Switzerland. (Photo by Harold Cunningham/Getty Images for IWC). Photo: Dev Patel visits the IWC booth during the launch of its new Pilot’s Watches at the Salon International de la Haute Horlogerie (SIHH) on January 15, 2019, in Geneva, Switzerland. (Photo by Harold Cunningham/Getty Images for IWC). Geneva, 16th January 2019 - IWC Schaffhausen celebrated the launch of its new Pilot’s Watches with an exclusive gala evening at the Salon International de la Haute Horlogerie (SIHH) in Geneva. Several well-known IWC brand ambassadors walked the red carpet, including film stars Bradley Cooper, Rosamund Pike, Dev Patel, James Marsden, and Sonam Kapoor; supermodels Adriana Lima and Karolina Kurkova; sports personalities Valtteri Bottas, David Coulthard and Jochen Mass; and influencers Negin Mirsalehi and Oliver Cheshire.